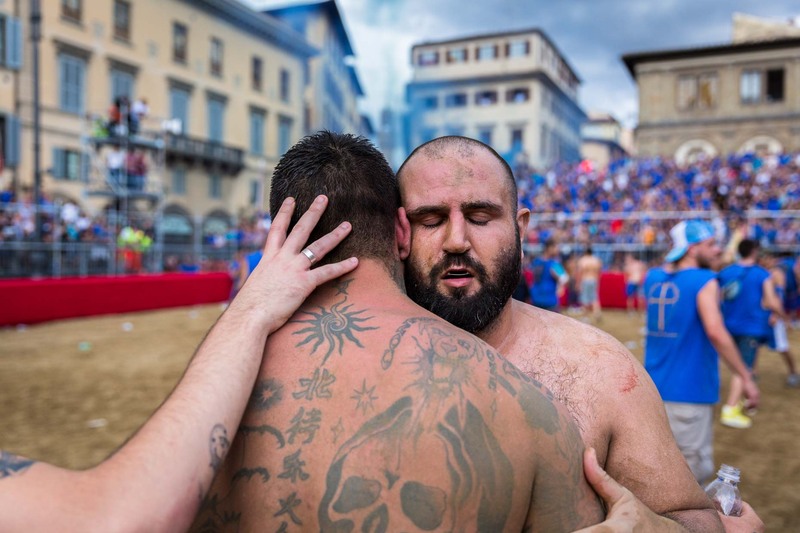 Florence's infamous Calcio Storico, also known as Gladiator Football. It takes place over two weekends in Piazza Santa Croce. A bone crunching experience for both 27 men teams, where all tactics are allowed to get the ball to the oppositions goal. The Azzurri team end victorious, Italy.